Tie with renowned fly fishing guides and fly-tiers Hunter Hayes and Bradley Dunkle. 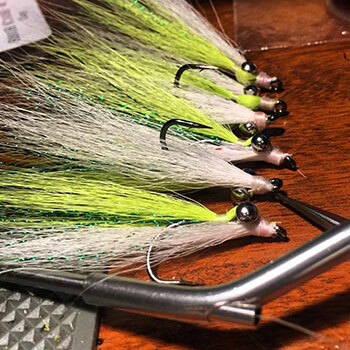 We provide all fly tying materials, vices, hooks, and know-how to sharpen your fly tying skills and techniques to make lifelike creations sure to fool the wiliest of fish. All ages invited and no required level of expertise necessary. All flies tied are yours to keep! All rods, reels, fly line, and terminal tackle provided. 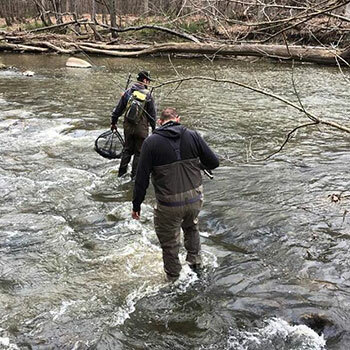 You will have the opportunity to hone their skills or pick up a fly rod for their first time, and proficiently cast multiple ways. Wildwood Angler guides have instructed hundreds of casting clinics, work with all ages, and eagerly await to sharpen your fly fishing skills or teach you from scratch! No fishing license required.